Halsall & Associates was engaged by the owners of the park to assist in liaising with the Shire of Dandaragan and review the Caravan / Tourist Park layout with a view to seeking approval to improve the mix of accommodation within the park, address Shire requirements and achieve an extended lease. It was determined that the Shire required consideration of alternative methods of access to the Tourist Park should other detailed planning be implemented in the future. This involved consideration of movement of traffic including accessibility for vehicles towing caravans. Careful consideration was also necessary with respect to the presentation of the Park to various streetscapes and inter-relationship with the surrounding development given the central location of the Park within the town of Jurien Bay and surrounding planning objectives. 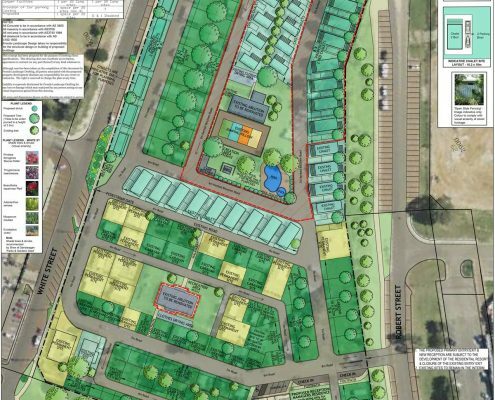 The detailed redesign allowed for maximisation of use of land within the park whilst retaining an appropriate mix of chalets, caravan and camping sites. Due attention also needed to be given to the Caravan and Camping Regulations some of the residents long standing permanent vans that were occupied and fire management issues. To seek the support of Council for the project a staged approach was employed. This started with liaison with the Shire officers and presentation to Council Meetings with a view to securing concurrence on the relevant issues that need to be addressed such that Council could support a concept. 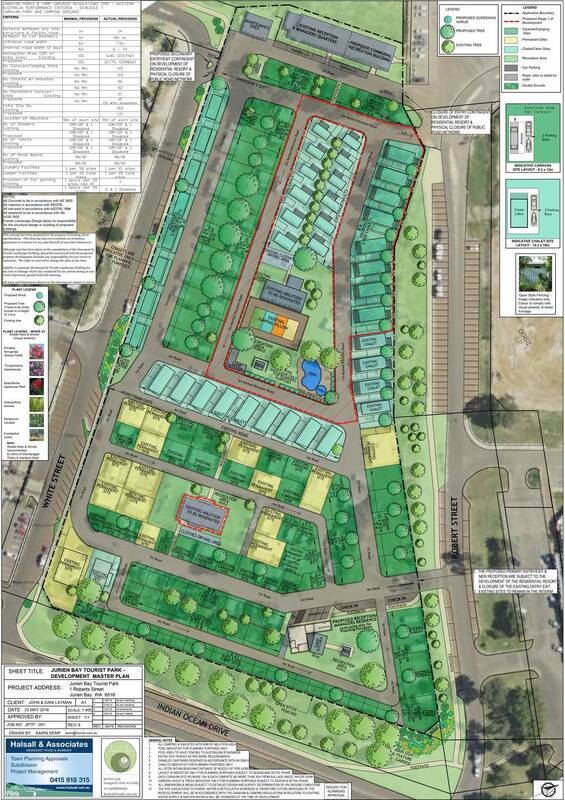 The Shire supported the concept and extension of the lease providing confidence to formulate and lodge a development application addressing town planning requirements, the wishes of Council with respect to the related peripheral planning within the area and Caravan and Camping Regulations. 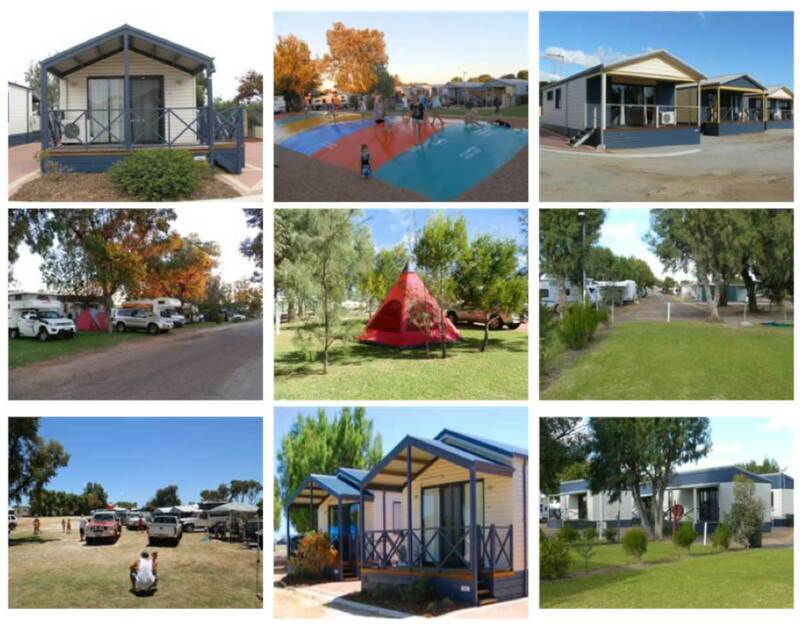 The result is that the Jurien Bay Tourist Park is now approved for long term improvement and modification to the satisfaction of the Shire of Dandaragan with a long term lease and maximisation of accommodation options maintaining the variety of accommodation types. Challenges for this project included negotiating with Council providing confidence that redevelopment was appropriate such that an extended lease could be achieved, achieving a design that was cognisant of peripheral town planning aims and having a design flexible enough to support long term changes to the access to the park and how this could be retro fitted in the future and achieving client objectives for an efficient use of space and better mix of accommodation types to meet the market.